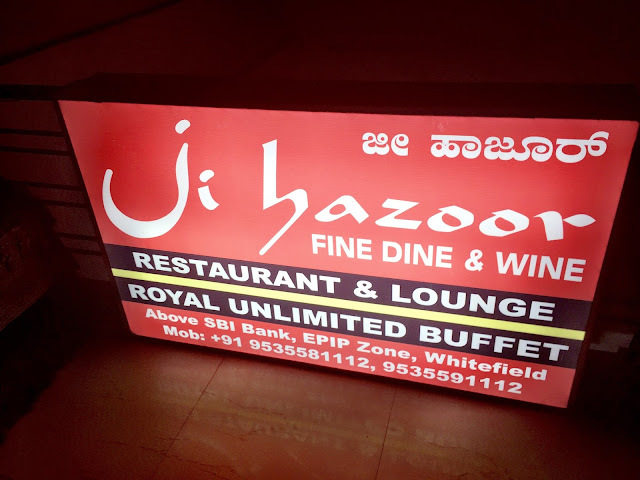 On my 31st Bday, I wanted to try a theme restaurant, I had already splurged too much on my Anniversary which is celebrated at Taj Vivanta (will blog about it later), so I wanted to search for a theme restaurant which doesn't burn a hole in my pocket .. and then I discovered Ji Huzoor. It is located opposite to Inorbit mall in Whitefield and the ambiance is themed on a Mughal or Persian kind of look. 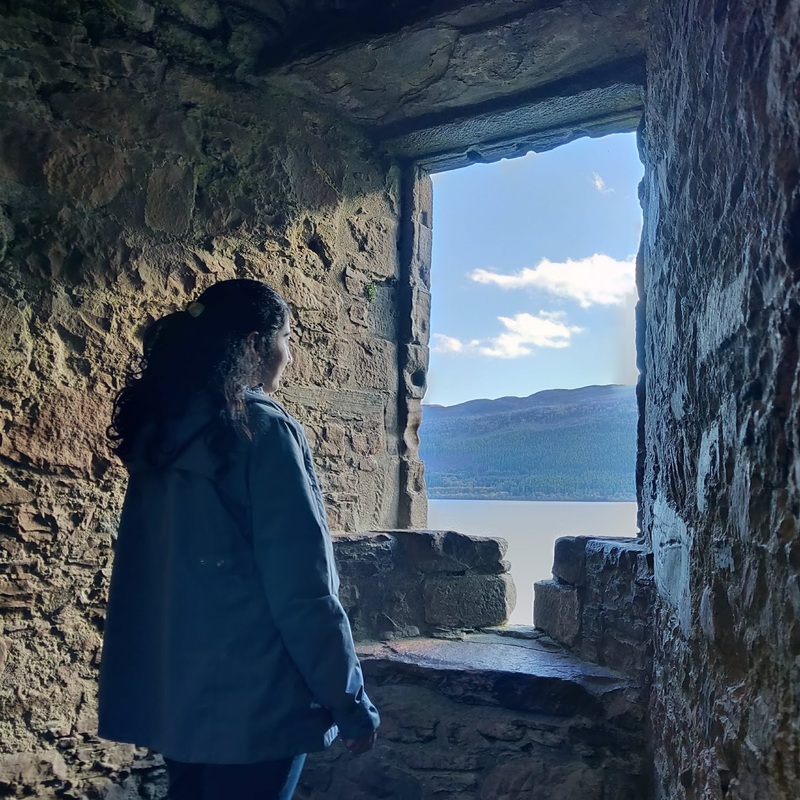 My kid was super-exited to see this place, as she got hold of lots of glass and ceramic items to break :( She was running around this place looking at jhoomers, mirrors, hangings etc. Very good. 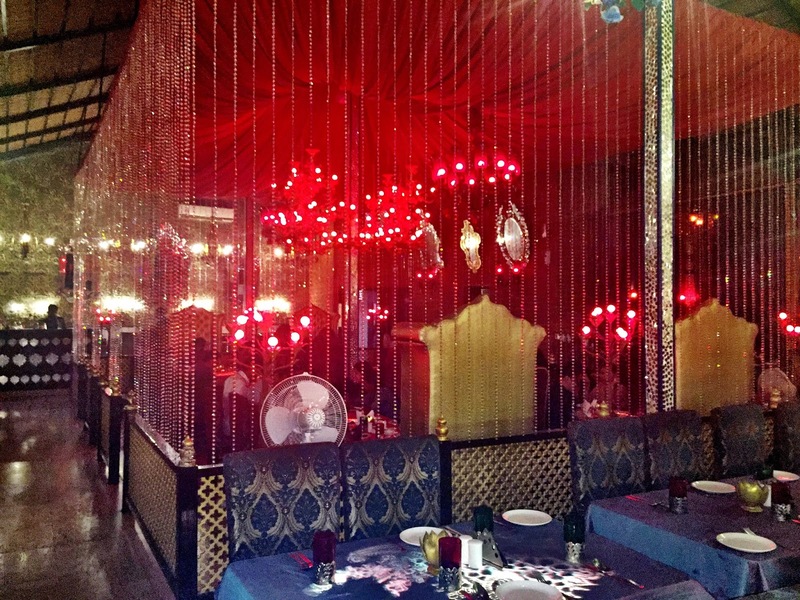 They have a buffet dinner costing ~500 per head with host of menu options for salads, starters, main course and desserts. However, this place only serves Indian cuisine (veg/non veg both) and does not have continental (pasta, pizza etc.) on the menu. In buffet they have chats, Panner tikka, chicken kababs, gravies, types of breads, biryani and lots of similar options. 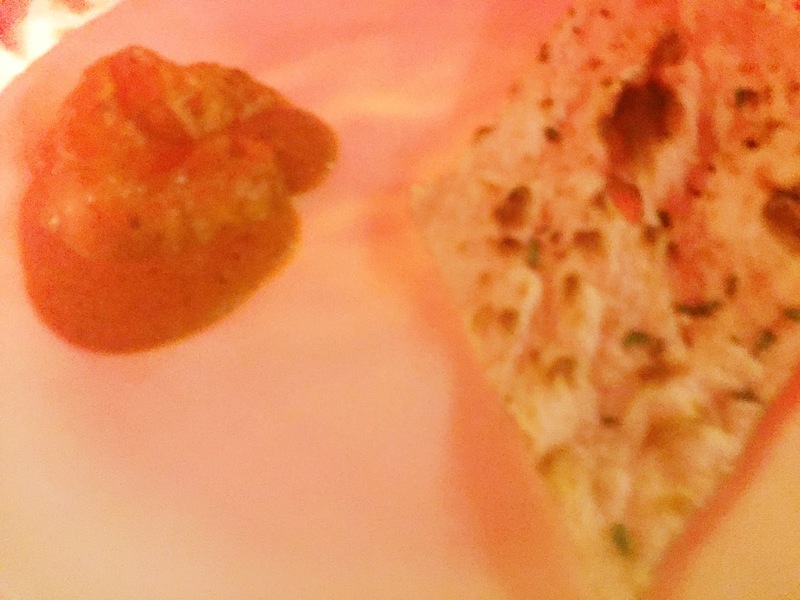 We ordered some regular stuff - a dish of Muglai chicken and roti and it tasted awesome. In the meanwhile, my kid getting restless, so we didn't order any desserts or drinks and had to leave fast. But I saw people enjoying the sumptuous buffet at their own leisure. Very very good. The attendants are polite and serve fast. Even though my kid broke a glass (which seemed expensive) they very calmly handled the situation and smiled nicely. Photos speak for itself. 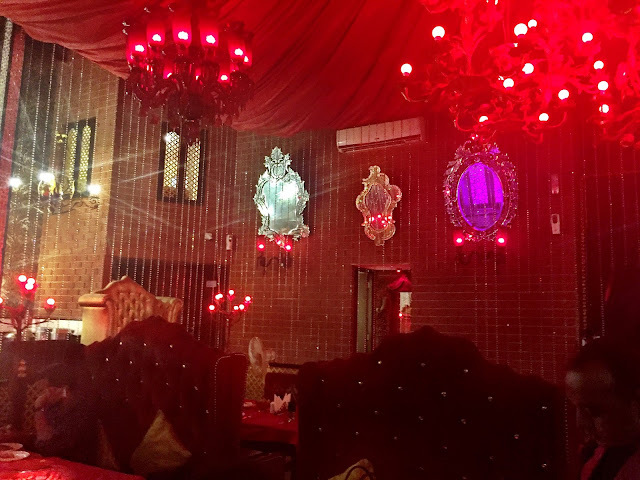 Right from the sitting arrangement, large sofa seats, to the mirrors on the walls, the designer glasses and even the salt-pepper shakers have been matched to the theme of this place. 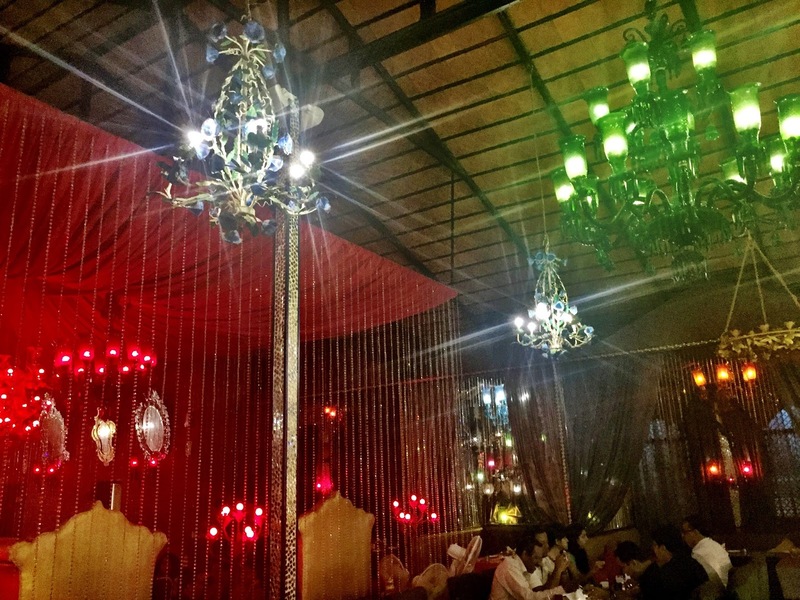 There is a candle on each table, lights are bit low to enhance the feel of Persian era. There is a small light below the table which reflects through the glass table top. Opposite Inorbit mall, Whitefield (It is near the Bus stand). It is located on the 4th floor - they have a lift. 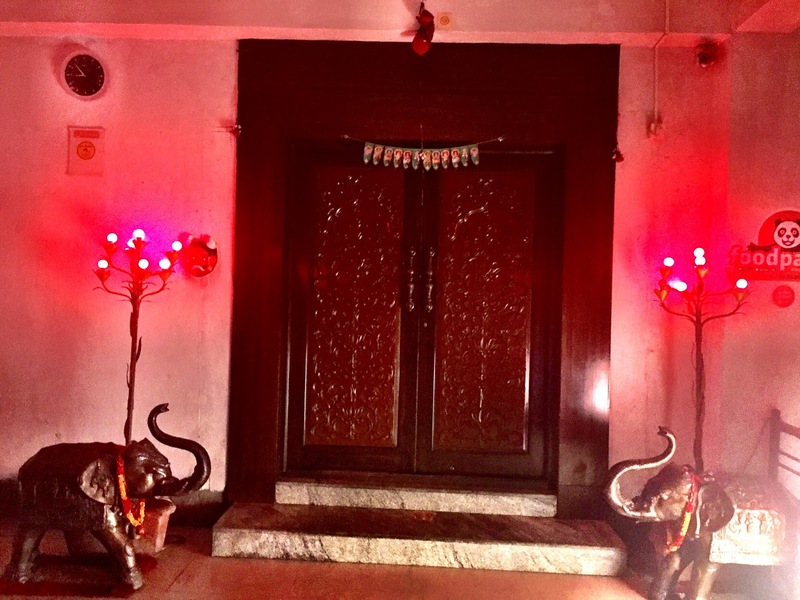 There is ample space for parking the car (but they charge Rs.20 as parking charges) - no valet parking available. This is a must go place with friends and family. 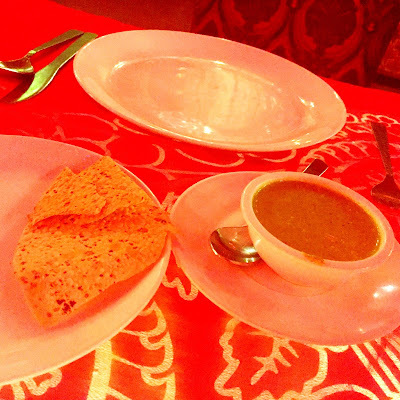 Strongly recommended for those who enjoy Indian cuisine. You may browse more reviews on Zomato!!! Thanks for sharing. Nice pics. I feel the theme-based places are the best if you are serious about them. We recently stayed in Sydney in a theme-based hotel and absolutely loved it! You are right Alok.. Do share your Sydney experience on your blog :) it will be interesting to read..